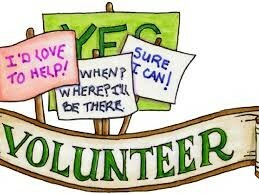 Please consider becoming a library volunteer! Volunteers do things such as shelving materials, light cleaning, reading to children, helping the children with a craft or project, bake cupcakes or supply drinks for programs. Apply in person today!